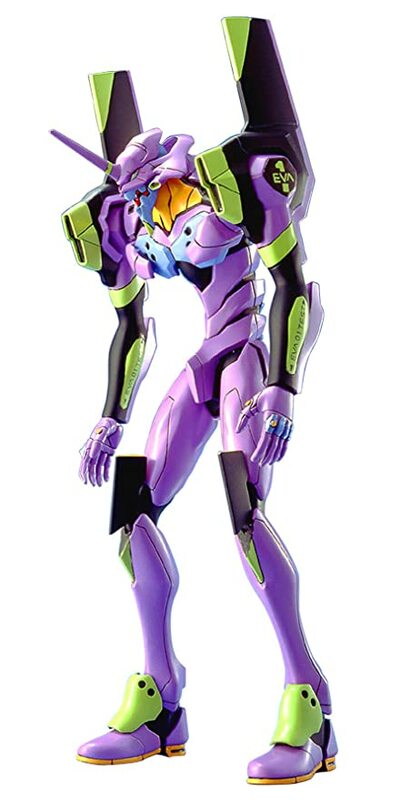 So, in LDD, I'm working on an Evangelion Unit from the popular manga and anime, Neon Genesis Evangelion, and have decided to build EVA Unit 01 (Picture here). 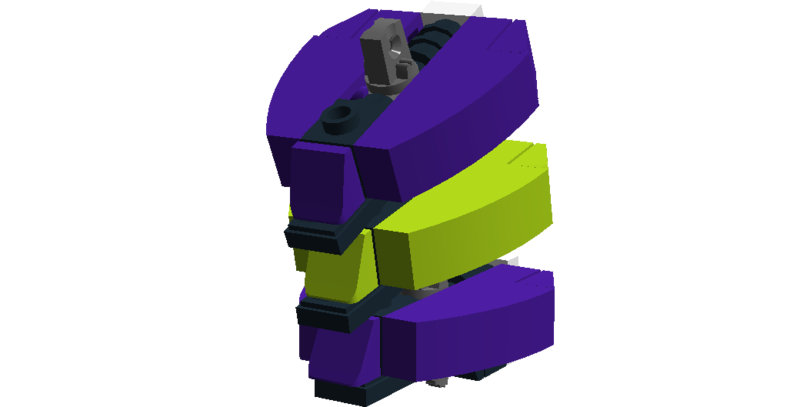 I've built the entire legs section ("lower" quarters) of the Unit, but am having difficulty capturing the "hunched" nature of the mech in Lego, let alone LDD. I don't even know where to start. I did find this image online to try and assist me in replicating something similar, but it hasn't been of much use (here). 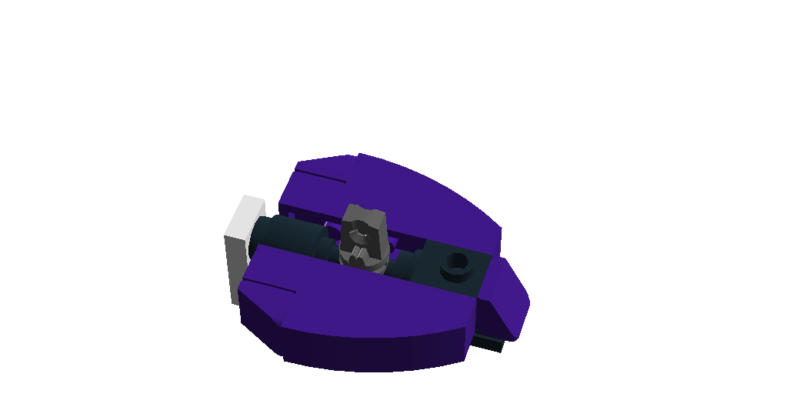 But this image should give a general idea of what I am hoping to achieve in LDD. This answer is pretty long and complex, so bear with me. 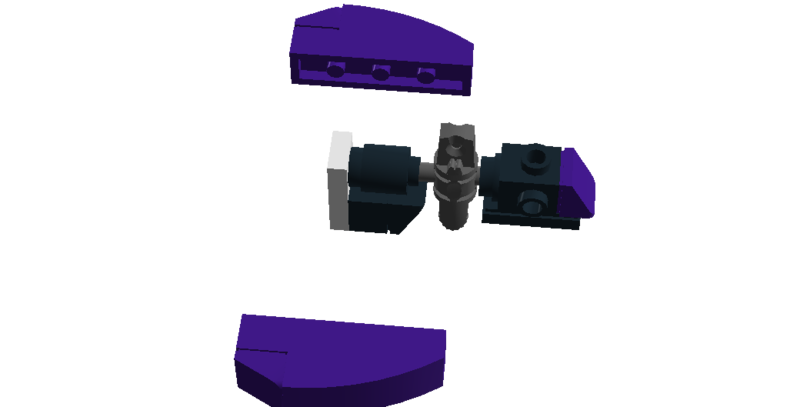 After a couple hours of toying around with LDD, I have finally come up with a design that suits my needs fully within the realm of "traditional" Lego Building techniques. 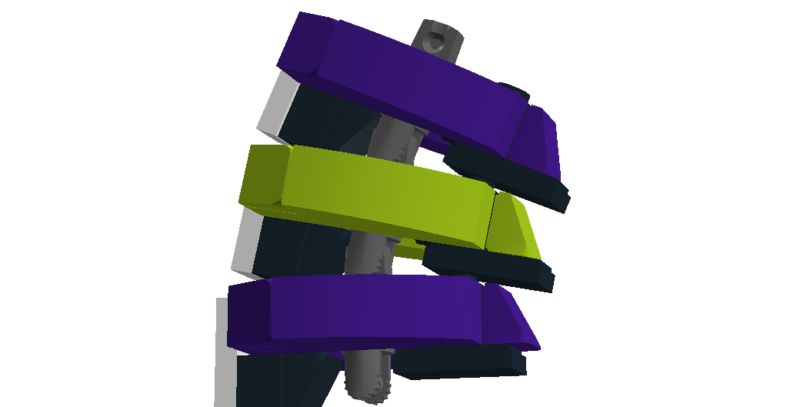 After digging around in the sub-categories in LDD, I stumbled across this block (here). This brick is essentially what made this entire build possible, as it allowed for the "hunching" for the lower abdomen to be captured. 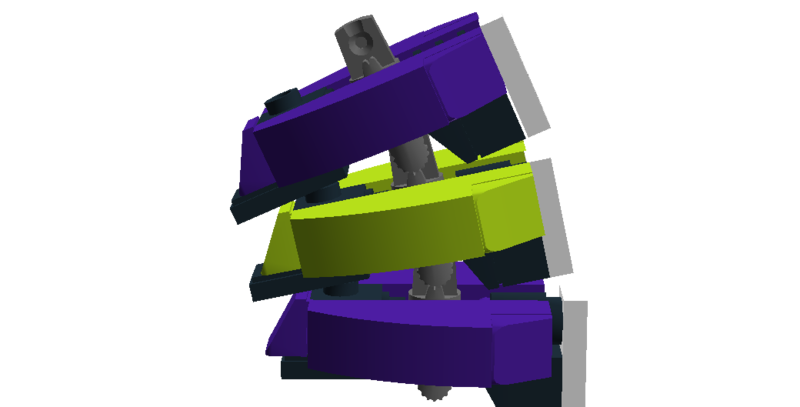 To capture the hunching nature of this mech, I constructed 3 of these shapes to serve as the building blocks for the lower abdomen. 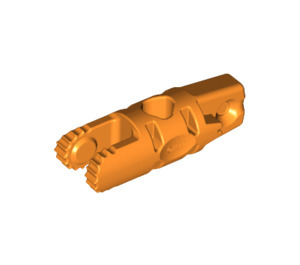 In the middle of the piece referenced above, a short staff was passed through down the centre of the piece in the hole provided in the centre. 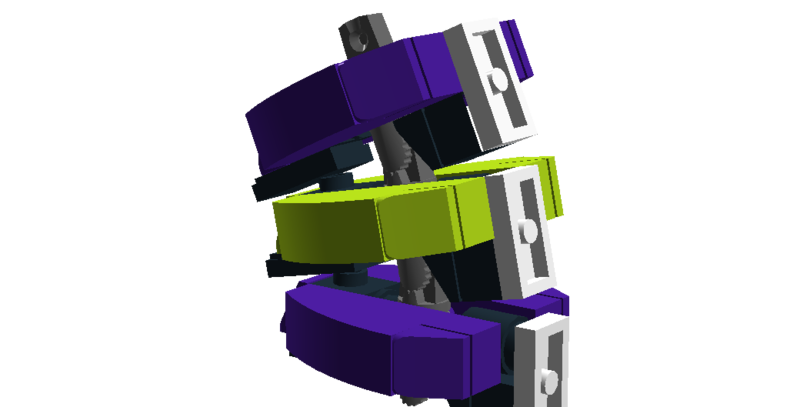 This assembly is then connected to a 1x1 brick with studs on all faces except the base. The piece of the staff that is sticking out at the back is covered up with a 1x1 cylindrical piece, making room for the "spinal" assembly of the mech. The entire assembly is then covered up with decorative assemblies and facades, as seen in the picture above. Unfortunately, no LDD file is provided, only images. As requested by Aziraphale, here is a breakdown of one of the assemblies making up the hunched nature of the Evangelion Unit. Note the short staff going through the piece reference above, mounted to a 1x1 brick with studs on all faces, before being finished in a 1x1 cylindrical piece with a 1x2 detail plate. 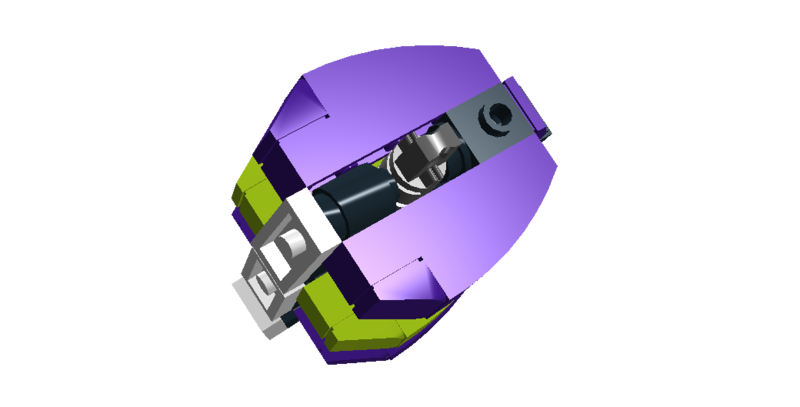 How best to plan and design a custom LEGO creation?